A study by the University of Manchester found out that microwaves in European Union (EU) alone emit as much carbon as nearly seven million cars. The emissions of these microwaves are measured from their construction right till the end of their lifespan. As reported by The Guardian, the emissions of 19 microwaves used over a year are the same as those from a car. 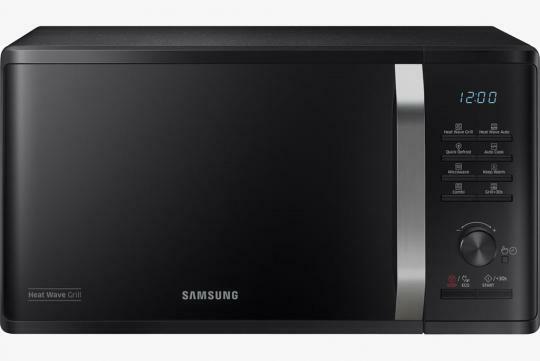 While that might not sound substantial, the annual sales of microwave ovens in the EU are expected to reach 135 million. That said, the Professor of carbon management at the University of Edinburgh, David Reay said that consumers should be more concerned with the CO2 produced by cars than the environmental impacts of microwave ovens. “Yes, there are a lot of microwaves in the EU, and yes they use electricity. But their emissions are very little compared to those emitted from cars. There are around 30 million cars in the UK alone and these emit way more than all the emissions from microwaves in the EU. Latest data show that passenger cars in the UK emitted 69 million tonnes of CO2 equivalent in 2015. This is 10 times the amount this new microwave oven study estimates for annual emissions for all the microwave ovens in the whole of the EU,” Reay said.